At Era Maju Automobil, our synthetic oil change services are top-of-the-line, with advanced synthetic blend and full synthetic oil that outlast conventional motor oils – all at an affordable price. When you come to a Era Maju Automobil workshop for oil change service, we offer a free courtesy checkup for your vehicle. 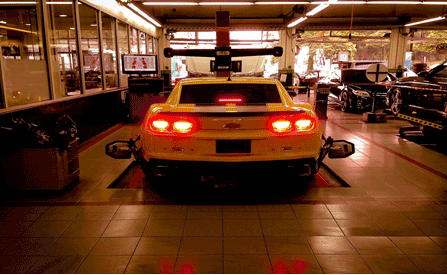 We examine your tires, fluid levels, brake system, lights, wipers, battery hoses and more. Our goal is to help you keep your car in tip-top shape. 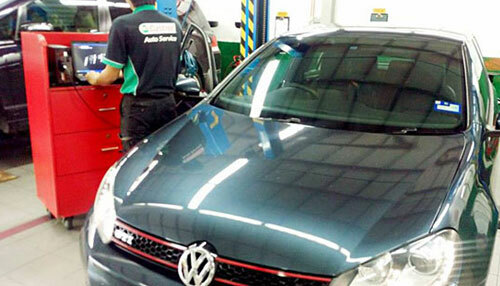 When you take care of your vehicle, it runs better and lasts longer. 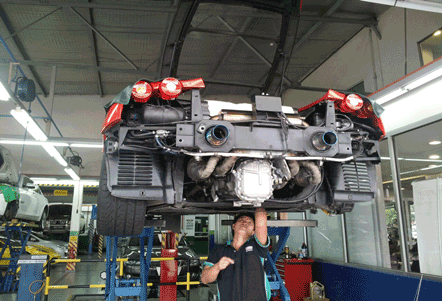 Era Maju Automobil technicians help you watch out for anything that needs to be fixed. We're committed to the health of your car, and that health begins with expert vehicle inspections. Bad roads can be your wheels’ worst enemy. If you drive down poorly maintained roads, drive through pot holes, or even hit a curb, your alignment and balancing can be greatly affected. This can cause even the slightest, tiniest alignment and balancing issue, which can accelerate uneven tire wear. The most important reason to worry about tread wear is safety. When your tire treads are worn, your car may respond poorly in adverse weather conditions like rain. With good treads your car will grip the road better. Also, having insufficient tread is considered illegal in many states. And finally, worn treads can make other parts of your car wear prematurely. When it’s time to change your tires, your Era Maju Automobil Sdn Bhd dealer wants to make purchasing a new set as simple as possible. We have the best selection of quality tires to fit your vehicle, your budget and your driving style. Custom aftermarket wheels are as much a part of who we are as the clothes we wear, the vehicles we drive and of course the performance that we expect. Era Maju Automobil deliver the latest in wheel designs. Era Maju is dedicated to perfection and delivers the best in aftermarket wheels. Is your vehicle running bad or stalling? Is your check engine light on? The issue could be as simple as a loose gas cap or as complex as internal engine repair. Either way, Era Maju Automobil can help. Pairing up state of the art equipment with our professional certified technicians, gives us the ability to diagnose the concern and determine what repairs are needed to get you safely back on the road. Cars are machines, and like machines, they occasionally breakdown. If your car has experienced a breakdown, don’t panic.019-719 2000 / 019-708 2000 and our person incharge will dispatch a premier towing service to your location and tow your vehicle to the nearest Era Maju Automobil workshop.